Sue Dunderdale is a Director most known for fostering new talent and award-winning writers. Her most recent Theatre productions are KARL MARX, YEAR ZERO by Benjamin Galemiri, translated by Catherine Boyle for HEAD FOR HEIGHTS Theatre Company and I’M AFRAID OF AMERIKANS by Joshua Val Martin at the Webber Douglas Studio, Royal Central School of Speech and Drama. Her most recent television is HOLBY CITY, 9th and 16th February, 2016. 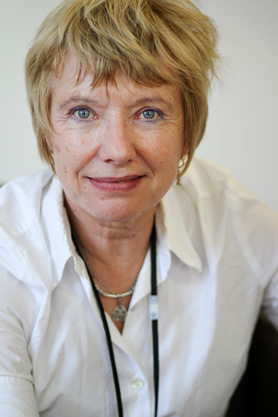 She has directed, amongst many others, Sean Bean (“Killing the Cat” – Royal Court Theatre), Helena Bonham-Carter (“Woman in White” – Greenwich Theatre), Clark Peters (“Othello” – Greenwich Theatre), Ian Hart and Johnny Lee Miller (EastEnders) and Rupert Evans (Rockface) and Lindsey Marshall (Peak Practice).